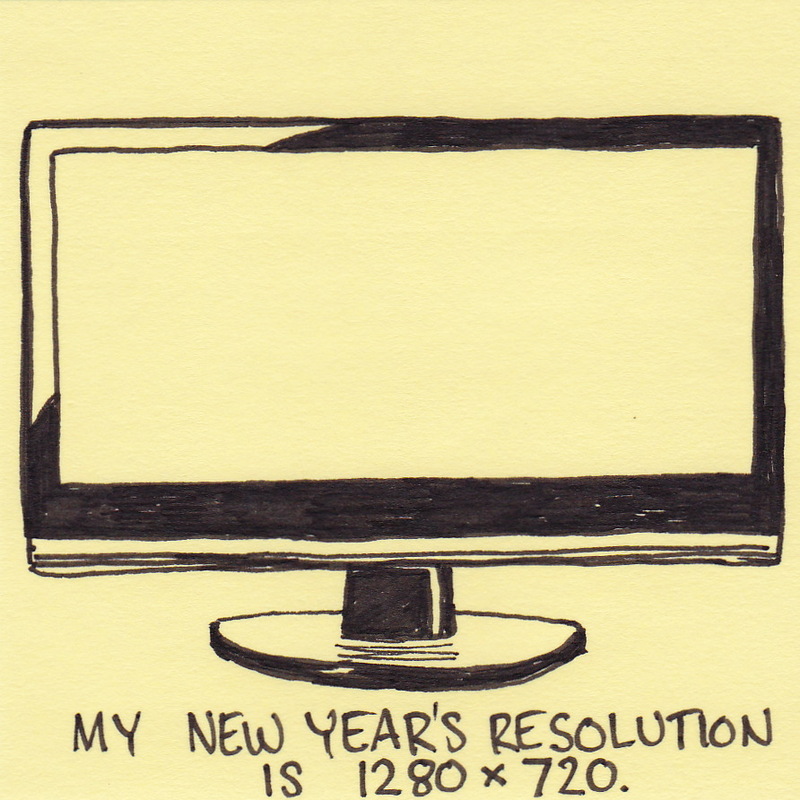 My new year’s resolution is 1280 x 720. Not really. 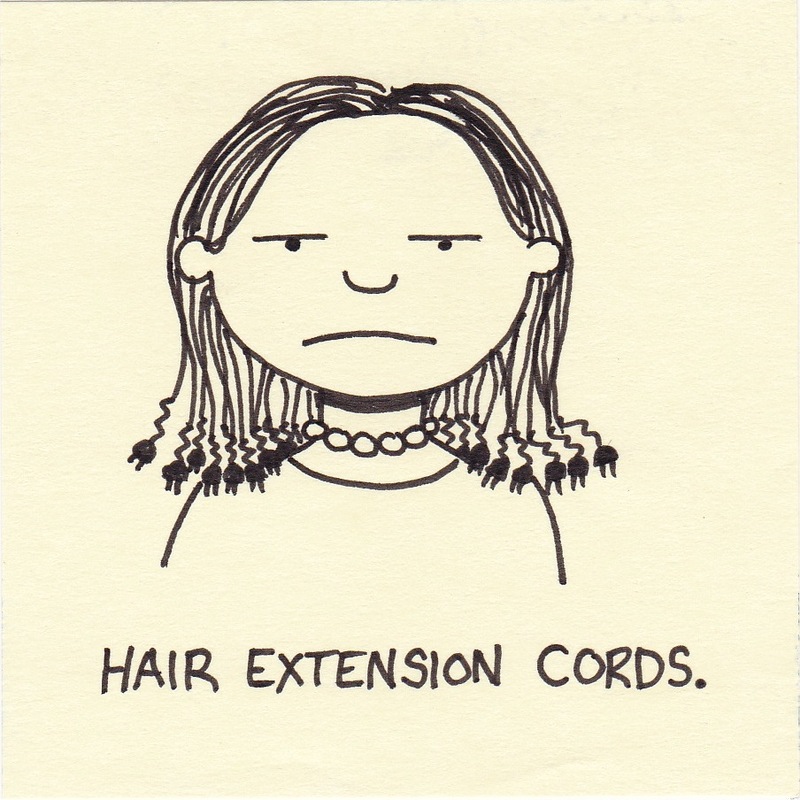 But I do resolve to start posting with more regularity than I did in December. His was a true biceps. Before you judge my grammer (was vs. were), think about the following. The singular of biceps is actually biceps. Confused? It gets worse. 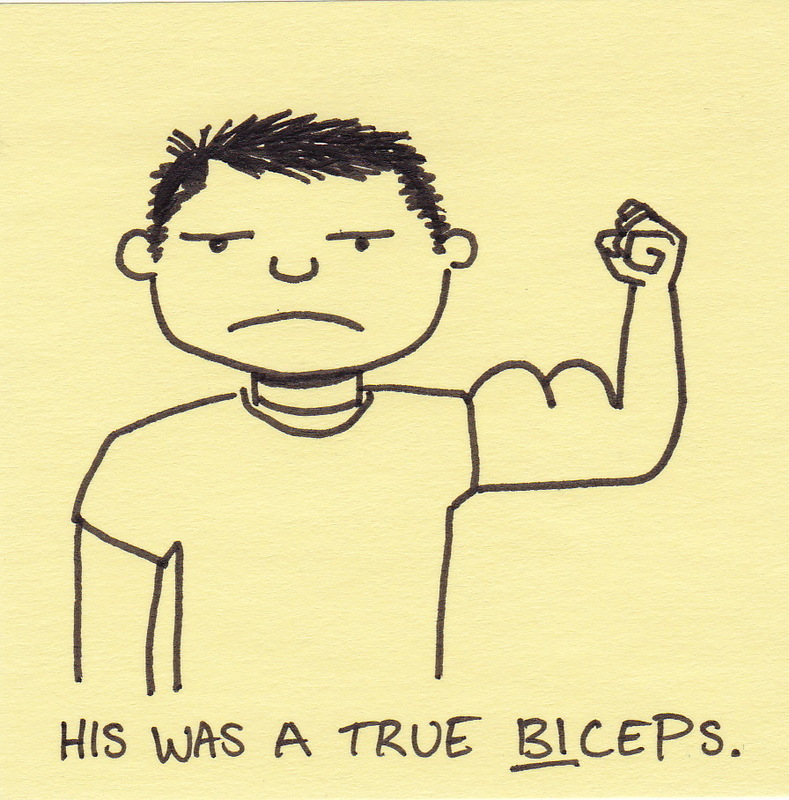 The plural form is not biceps. It is bicipites. You could try using bicipites at the gym (i.e. “Dude, check out my bicipites!”), but I wouldn’t recommend it. 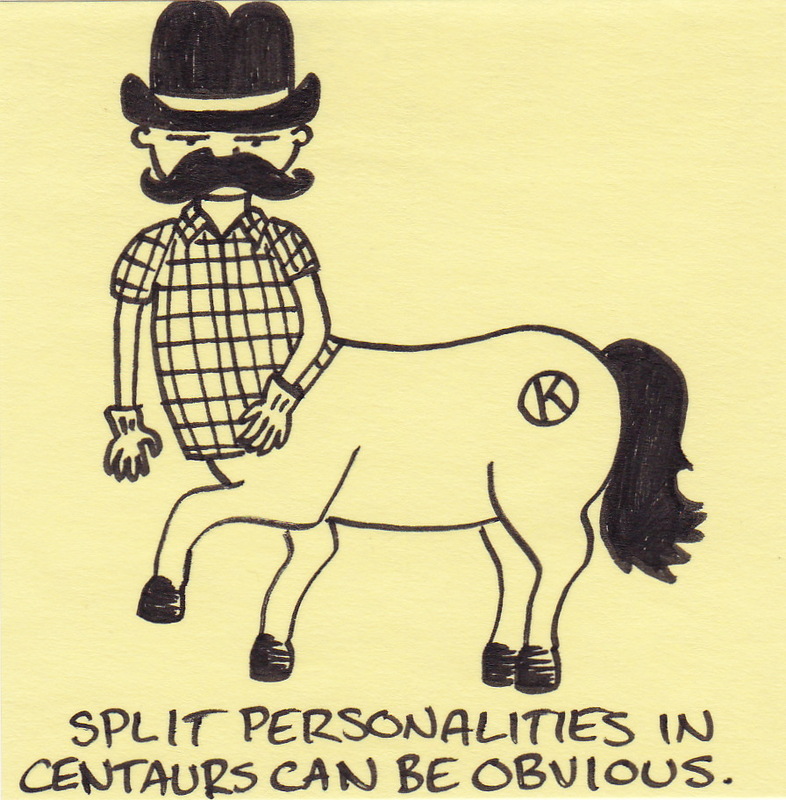 Split personalities in centaurs can be obvious. If I were being politically correct, the proper title would be Dissociative Identity Disorder. But then again, if I were being politically correct I wouldn’t have used a mental disorder to describe a centaur wearing cowboy clothes. Looking at this drawing, I am completely distracted by the color. As you can see it is a quite different shade of yellow when compared to the other drawings. I accidently used an off-brand pad of sticky notes from someone else’s desk. There’s no yellow like © 3M © Post-It Brand Products © Canary Yellow (yes, even the color is copyrighted). 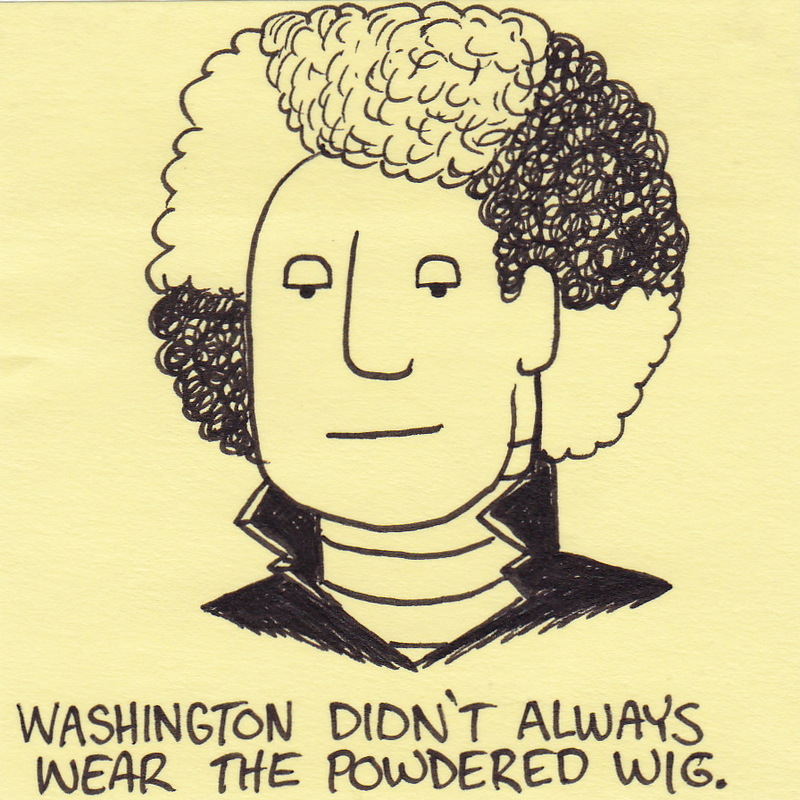 Washington didn’t always wear the powdered wig. I think everyone can agree that George Washington would have totally rocked a rainbow wig. You are currently browsing the Inkjot blog archives for December, 2010.